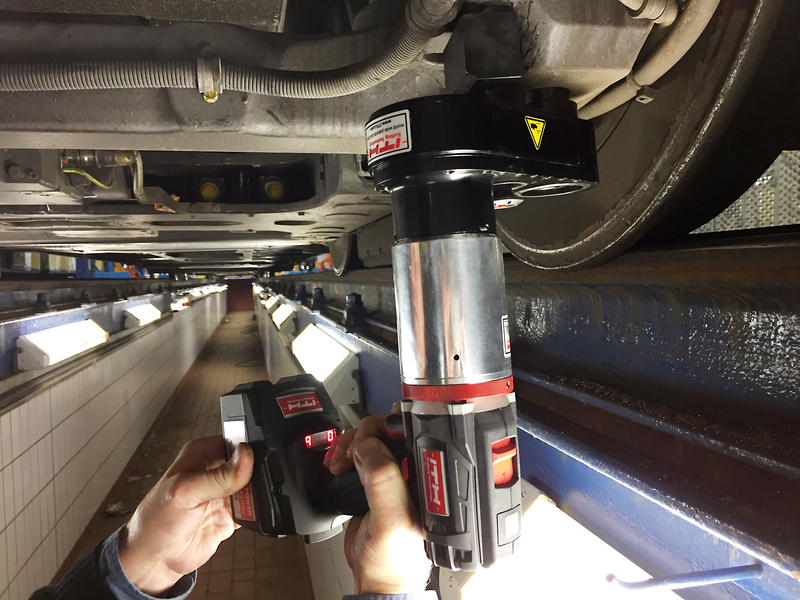 World best power to weight ration and world’s first battery torque wrench up to 6,000 Nm (4,425 ft*lbs). with external electronic data control "ITH Smart Control" and possibility for data documentation. Battery torque wrench up to 6,000 Nm with external electronic data control and data documentation. New advanced ITH configuration software allows flexible torque adjustment in as little as 5 Nm increments for power classes up to 750 Nm, and 10 Nm or 20 Nm increments for higher power classes up to 6,000 Nm. Optional torque-angle values can be adjusted in 1° increments. This setting enables the ITH Nut Runner type ADS Digital to perform the torque-angle bolting method which is used for high-load bolted joints. These types of bolted joints occur in industrial sectors such as large motor assembly, railway vehicles, and steel construction. 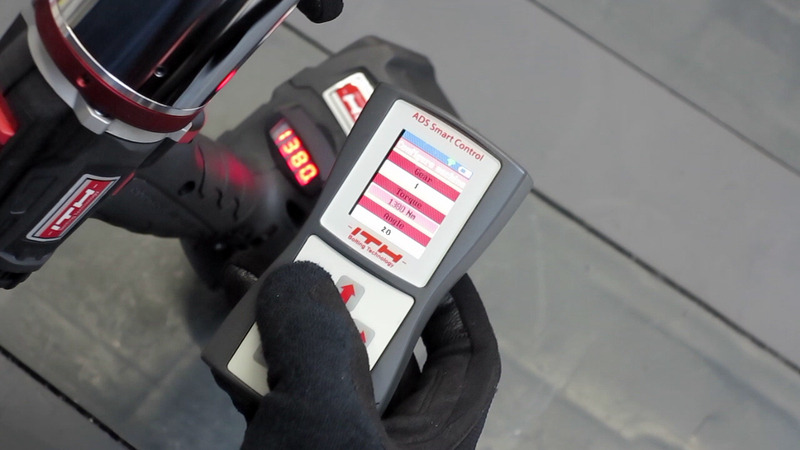 The target torque and torque-angle values set by the ADS Smart Control are saved to the ADS Digital and displayed directly on the tool. During the bolting process the patent-protected “ADS Smart Control” displays live data and the current status of the process. 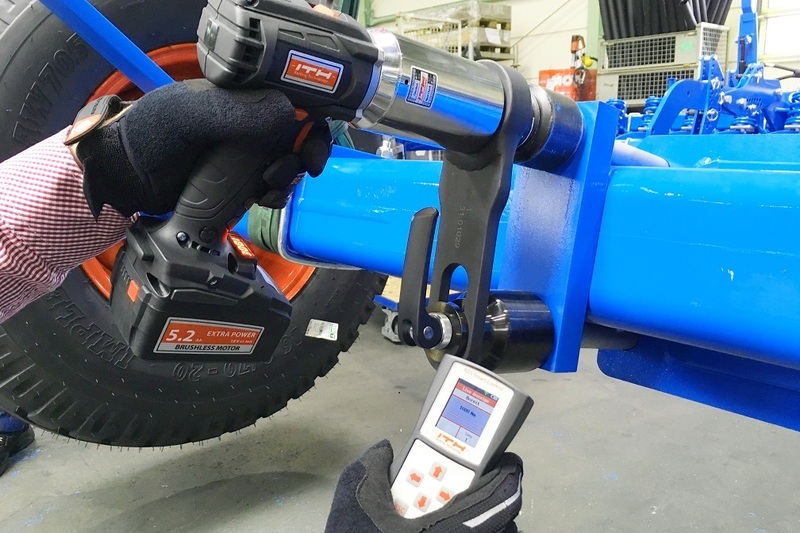 Once the set values have been reached, the ITH Nut Runner type ADS automatically initiates “free-run”, this function relieves torsional binding at the reaction point for easy and safe removal of the tool after each bolting cycle. Another built-in feature of the software is the battery management system. This system monitors the battery status of the tool and adapts to maintain consistent output throughout the charge of the battery. This system monitors the battery status of the tool and actively uses this and other information to maintain consistent output despite the charge of the battery. This guarantees a high degree of repeatability of torque values of ± 4%. ITH Battery Nut Runners type ADS are the smallest and lightest battery-powered torque tools for torque values up to 6,000 Nm (4,425 ft*lbs). The ADS provide class-leading power-to-weight ratio (Nm/kg) for optimal handling with a high-capacity 5.2 Ah battery. 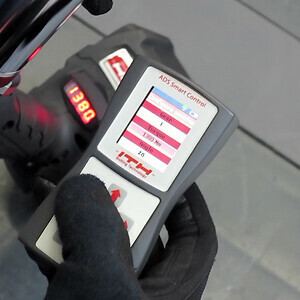 The ADS series also includes version “ADS Standard” with an analogue torque adjustment wheel, and version “ADS Basic” which comes with one pre-determined torque setting from the factory. All versions in the ADS Series are equipped with a wear-free, brushless motor.